Martin Scorsese’s three-hour gangster opus brings to life Nicholas Pileggi’s book of the same name. Scorsese and Pileggi had previously adapted the author’s work Wiseguys as the film Goodfellas, and the director brought actor Joe Pesci with him from that movie to star in Casino. He played opposite Robert De Niro, a mobster operating out of the fictional Tangiers casino in Las Vegas, in a film following their turbulent lives during the 1970s and 1980s. The book is based on a true story, and although the Tangiers never existed, it’s believed to have been based on the history of the Stardust casino. The Riviera Hotel and Casino stood in for the Tangiers, with the exception of the counting room, which was off-limits even to the filmmakers. All of the casino-based filming was completed over the first six weeks of shooting. The cast and crew filmed between 1am and 4am as the casino wouldn’t close, and didn’t want to affect its late-night gamblers. The Riviera even advertised the fact the film was shooting there in the hope that more people would visit. 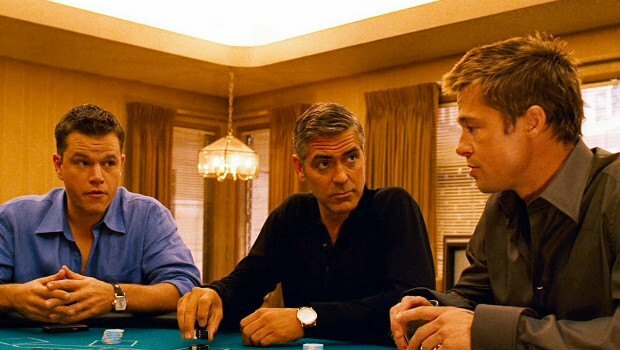 Director Steven Soderbergh’s films cast George Clooney’s gang of misfit criminals in Las Vegas. The first film saw them plot to rob not just one Las Vegas casino, but three. The casinos chosen are all real – the Bellagio, the Mirage and the MGM Grand – and all owned in the film by Andy Garcia’s character, Terry Benedict. The interiors and exteriors of all three can be seen in the film. It’s reported that the Bellagio let the crew tap into the security system so they could capture real surveillance footage. Ocean’s Thirteen sees the gang return to Las Vegas after a jaunt around Europe, this time facing off against Al Pacino’s Willy Bank. Unlike the first movie, the casino the thieves target, The Bank Casino, is fictitious. Most of the casino scenes were shot in a custom-built studio, although the Bellagio offices feature again, as does the Mandalay Bay’s famous Mix Lounge. When Daniel Craig debuted as MI5 super-spy James Bond, fans were delighted when it was announced that Ian Fleming’s first Bond book, Casino Royale, was going to be used for the film. 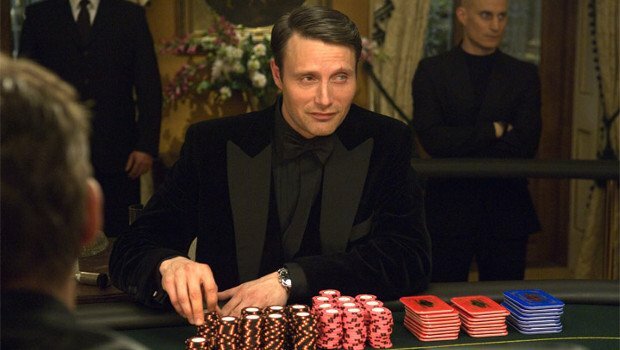 Previously seen only as a spoof movie in 1967, the story sees a young Bond gambling at a casino in Royale-les-Eaux with the task of bankrupting the Russian spy Le Chiffre. In the book, Bond beats him by playing high-stakes baccarat, but this was changed to Texas Hold ‘Em in the film. A substantial part of the action revolves around the poker game, and director Martin Campbell manages to make the looks between Daniel Craig and Mads Mikkelsen electrifying. The inspiration for the casino name and scenes came from Fleming’s time at the Casino Estoril in Lisbon, which was a well-known hangout for German agents during the Second World War. While the interior shots of the casino were all in a studio, the exterior for the Casino Royale was actually the Karlovy Vary Spa in the Czech Republic. 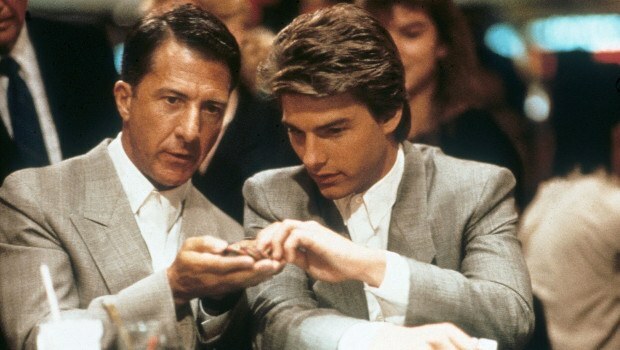 The climax of Rain Man sees Charlie Babbitt, played by Tom Cruise, take his autistic older brother Raymond (Dustin Hoffman) to a blackjack table, where the card-counting savant manages to win big. The casino scenes were all shot inside Caesar's Palace, and the dealer who serves Raymond was a real-life dealer named Nick Mazzola. 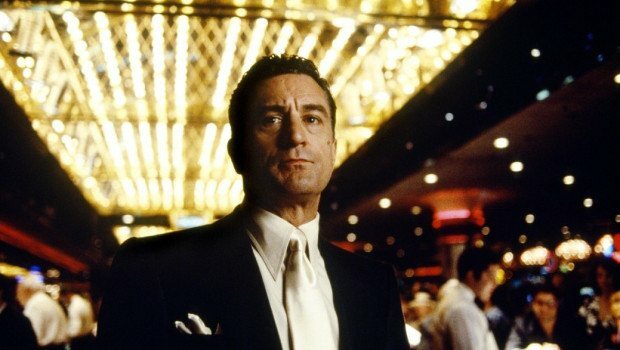 Nick featured in several other films as a blackjack dealer, including Scorsese’s Casino and Vegas Vacation. Once the Babbitt brothers retire with their winnings, they get the best suite in Caesar’s Palace, which is the Emperor’s Suite. However, since the movie was released, the room became known as the Rain Man Suite. 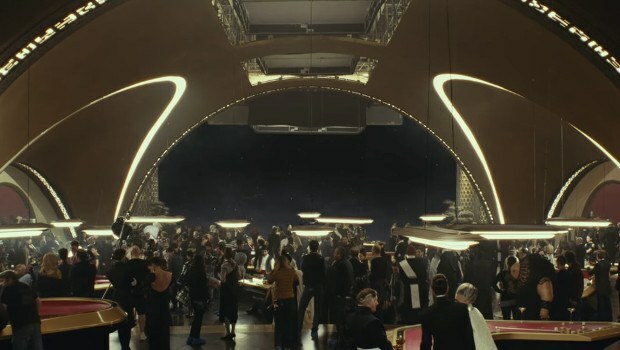 Although it’s not even out yet, it’s rumoured that the latest instalment of the Star Wars saga will feature a casino city called Canto Bight on the planet of Cantonica. 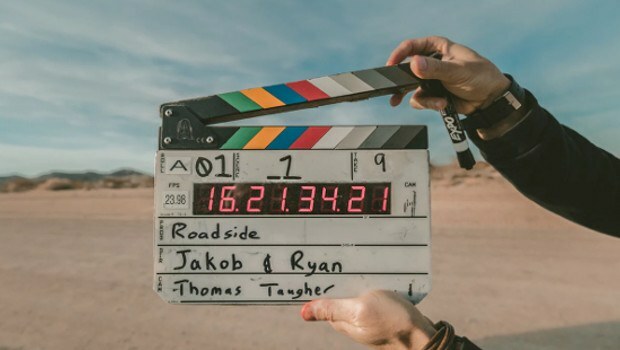 Director Rian Johnson has described the casino as “a Star Wars Monte Carlo-type environment, a little James Bond–ish, a little To Catch a Thief”. Star Wars fans will be eager to see if they can figure out how the alien games work, as our heroes run through the casino in an important chase scene.